Both teams are in group 1 with many teams like Real Madrid, Bayern Munch, Chelsea, PSG, Leicester City, etc. Barcelona is second on the table with six points from two wins, having scored seven goals and conceded three. Liverpool, on the other hand, are sixth on the table with three points from two games as they won one and lost one, scored two goals and got one. 06th August 2016 at 21:45 (IST). Liverpool has played two matches in the tournament and have won one against AC Milan by 2-0 and lost one to Chelsea. We all know that this is a friendly competition, and every manager will try his best to get the best out of players. All the new signings that Liverpool has made including Sadio Mane which they signed from Southampton will be tested, and they have to prove their worth. They need to do that to confirm a first team position in the Premier league on a regular basis which is not an easy task. Jurgen Klopp has made some tactical changes to the squad as he let go their central defensive midfielder Joe Allen which did play well for the team but was let go. In the International Champions Cup, they have maintained an average possession of 62% with a pass accuracy if 88%. 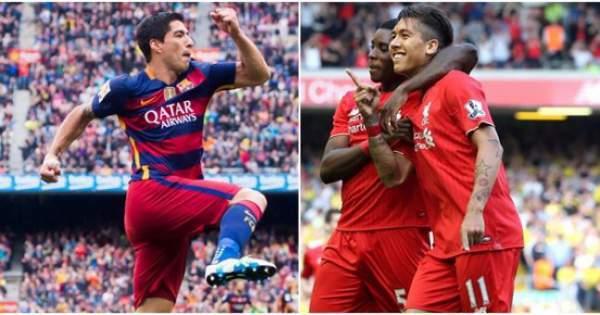 They have scored two goals in two games from nine shots with an accuracy of 66%. Talking about Barcelona, we all know their potential and what they can do to the opposition. They have again made some changes to their squad and brought new members to strengthen it with the likes of Andre Gomes and Samuel Umtiti joining the team. They have played two games in the tournament till now and have won both of their games. Their first game was against Celtics which they won by 3-1 and their second game was against Leicester City which they won by 4-2. Playing against Barcelona is always tough, and Liverpool will have to play their best if they want to beat a team Like Barcelona. Mignolet, Milner, Klavan, Lovren, Coutinho, Mane, Lallana, Wijnaldum, Henderson, Sturridge. Masip, Santos, Mathieu, Vidal, Camara, Suarez, Turan, Roberto, El Haddadi, Messi, Suarez. Come back for the match result, full video highlights, and much more. Stay tuned to The Reporter Times for latest football news and other sports updates across the globe. Don’t forget to share it on social media sites like Facebook, Twitter, Google Plus, and others to let other soccer fans also know about it. BTW, which team do you think will win today’s match?